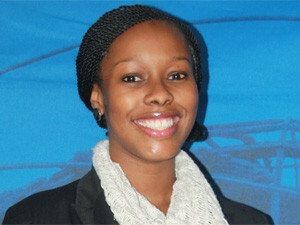 Information & Communication Technologies research analyst at growth consulting firm, Frost & Sullivan, Masego Mbaakanyi. Even though the ICT industry is a widespread sector, offering a high number of job opportunities, concerns still persist regarding the sector's predominantly male workforce. According to the Institute of Information Technology Professionals VP and director, Moira de Roche, US statistics show while 56% of professional jobs are held by women, only 25% of IT jobs are held by women. In addition, a mere 5% of tech start-ups are led by women and 56% of women leave the IT industry for other jobs. These figures are especially interesting considering three of the top 10 best paid jobs are in IT, and when asked in middle school, 74% of girls express an interest in a science, technology, engineering and maths education. European stats reveal a similar scenario, where only 30% of seven million ICT workers are women. In Australia, women represent 52% of the population, but only comprise 18% of the ICT workforce. Local statistics are for the most part pretty scant, says De Roche, but adds that to the best of her knowledge, women comprise 55% of the total South African workforce, but only 20% of the ICT workforce. "And it's a stark reality that fewer and fewer girls' schools teach IT," she says. So why do we continue to see so few women in the ICT industry? "The ICT industry is perceived to be a 'hard' career path and a rather 'unfeminine' profession for women," says Naila Govan-Vassen, ICT research analyst at growth consulting firm Frost & Sullivan. "One of the many reasons why there are so few women in the ICT industry is the stereotype that society has created about a career in technology being associated to the right career path for males to pursue, as opposed to that of females." It's a stark reality that fewer and fewer girls' schools teach IT, says Moira de Roche, VP and director, Institute of IT Professionals SA. Another research analyst from Frost & Sullivan, Masego Mbaakanyi, concurs that a skewed perception of the ICT industry is the biggest contributor to the lack of women in the sector. "The statistic holds true across sectors where, at JSE-listed companies, only 28% of positions are held by women. HR, finance, legal and marketing roles, which women dominate, are far more interactive and require people to engage more on paper." De Roche says while a strong ICT workforce is good for any economy, women must be included to achieve the required strength. "Because much of ICT can be done remotely, women can also provide ICT products and services from rural communities if the necessary infrastructure is there," she says. Govan-Vassen notes the lack of skills in certain areas within the ICT industry, along with high levels of unemployment on the African continent, can be combated by providing education to females in this field and equally promoting the industry to both genders. "In the long run, [this will] create jobs and ultimately have a positive impact on the economy and the sector as a whole." 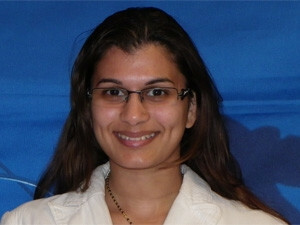 Information & Communication Technologies research analyst at growth consulting firm, Frost & Sullivan, Naila Govan-Vassen. De Roche believes the first step to attract women to the ICT industry is to break the stereotype through campaigns and demonstrations, and educating communities and stakeholders. "Parents, teachers, career guidance counsellors and recruiters need to be made aware of and acknowledge that ICT careers are an important and viable opportunity for girls, and encourage them in this direction." "Companies need to recognise women who have positively contributed to the development of the ICT industry and thus create role models that the younger generation can aspire to become," adds Govan-Vassen. Mbaakanyi agrees women are likely to be inspired by successful female mentors in IT, such as Mardia van der Walt-Korsten, who currently heads up T-Systems in Africa. 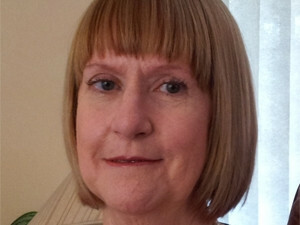 She also says women-focused start-up programmes should be encouraged. "I believe that innovation centres will play a crucial role in IT social entrepreneurship in particular, which could be the engine for growth."